I know I am a little behind the times on this show, however to say that I don't know where to begin is such an understatement! 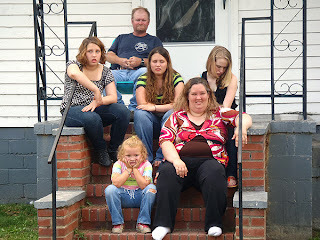 I guess I will start with their names, Mama June, Sugar Bear, Pumpkin, Chubbs, Chikadee & of course Honey Boo Boo. Holy hell! I don't think a show has ever caused me greater emotional conflict. I find myself disgusted, laughing to the point of tears, literally unable to grasp that people live this way and yet strangely attracted to the endearing love they obviously have for one another all at the same time. To top it all off I cannot understand a word these people say, and obviously TLC knew this would be an issue as well as they have wisely added subtitles. Forklift Foot - "When you get your foot run over by a forklift and you get your toes all mangled, I guess?" Guess Who's Breath - A family game where one member is blindfolded and the remaining family members take turns blowing their breath into the blindfolded persons face to match the breath to the person. * I simply do not have words, I am at a loss for them and cannot believe what I am currently witnessing. A Dear Call - When someone hits a deer with their car and the family then goes and collects the remains for food. "When June sat on my lap she didn't really ask for nothing but I couldn't feel my feet!" "The girls did my makeup to begin with, I looked like a damn rodeo clown!" 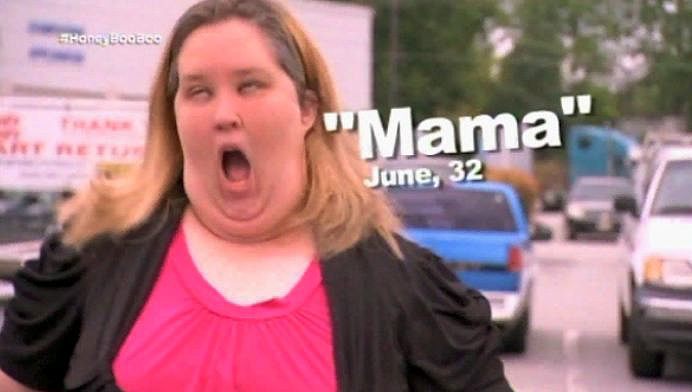 "Ill be honest I don't brush my teeth except for special occasions"
"Kaylin's coming out of Anna's biscuit" Honey Boo Boo describing what will happen when her sister has her baby. "June used a fork this time, I guess to try and be a little more romantic - but it didn't work!" Lemonade - 5lbs of sugar 2 gallons of lemon juice and MORE sugar! 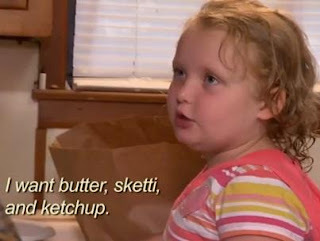 Sketti - Butter, Sketti, Ketchup : "A little bit of butter with a little bit of ketchup melted in the microwave and poured over sketti." 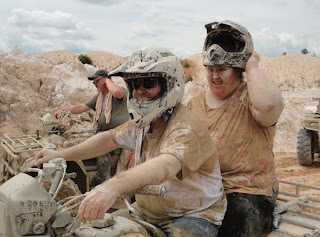 Sugar Bear and Mama June Muddin it! 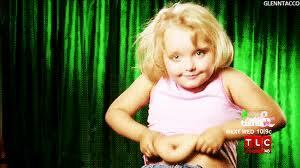 If you haven't had the opportunity to watch "Here Comes Honey Boo Boo," watch it! I've never seen anything like it and the bottom line is they may lack manners, healthy eating habits or a strong sense of personal hygiene but one things is clear they all love one another very much and at the end of the day they seem to have exceedingly warm hearts and a great deal of kindness not just for their family but for others as well. Cheers to "Here Comes Honey Boo Boo!" 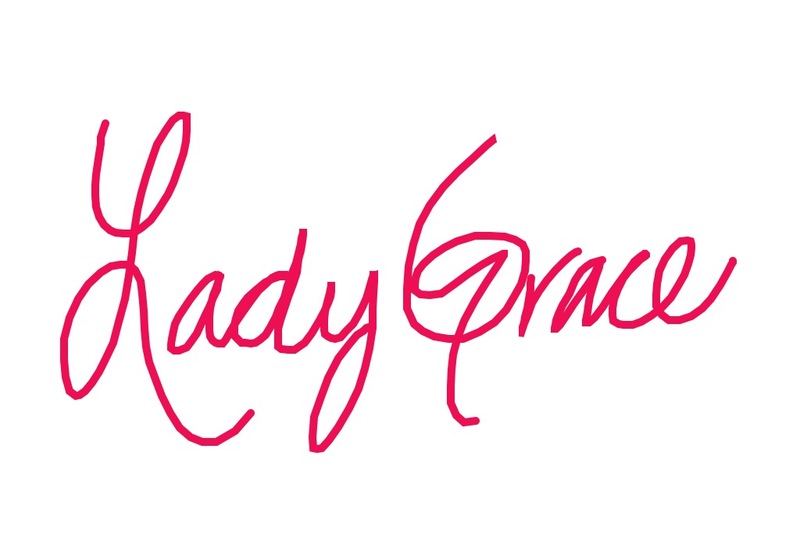 I dare you to watch it and not laugh & cry at the same time! Manufacturers provides lots of new features and technology, their forklifts can lift or transport heavy duty machines or objects very easily. But I think Toyota offers a diverse and bigger selection of forklifts with complete features. Catching Up & Linking Up!